Georg-Hermann Greiner was born on 2 January 1920 at Heidenheim in the Gunzenhausen region of Mittelfranken. He joined the Luftwaffe on 1 October 1938 as an officer cadet. Following four months of basic military training, Fahnenjunker Greiner underwent flying training, initially with the Luftkriegsschule at Berlin-Gatow, qualifying for his pilot’s licence on 30 October 1939. He then attended the Flugzeugführerschule C at Alt-Lönnewitz, where he trained to fly multi-engine aircraft types. There followed attendances at the Aufklärungsschule at Grossenhain, Blindflugschule at Neuburg-Donau, Zerstörerschule 2 at Memmingen, Jagdfliegerschule 2 at Schleissheim and Nachtjadgschule at Stuttgart-Echterdingen. In all his flying training had lasted over two years, from March 1939 to September 1941. On 1 October 1941, Leutnant Greiner was posted to II./NJG 1, based at Stade near Hamburg. He transferred to 4./NJG 2 in mid-January 1942. Greiner participated in Operation Donnerkeil, the aerial protection for the Germany Navy’s battleships Scharnhorst and Gneisenau and the heavy cruiser Prinz Eugen on their Channel dash from France to bases in Germany. On 20 April, he was promoted to the rank of Oberleutnant. He achieved his first night victory on the night of 25-26 June 1942, when he shot down a RAF Wellington twin-engine bomber over northwest Holland. On 1 October, 4./NJG 2 was redesignated 10./NJG 1. Greiner recorded his second victory on the night of 6/7 October, by which time he was serving with 11./NJG 1. Greiner was transferred to Nachtjagdschule 1 to undertake night fighter pilot instruction on 23 November 1942. He claimed a victory with the unit on the night of 25-26 February 1943, when he shot down a RAF Stirling four-engine bomber near Rastatt. On 19 May 1943, Greiner returned to combat duty with NJG 1. He was assigned to 10./NJG 1. By the end of September, Greiner had 13 victories to his credit. Greiner was transferred to I./NJG 1, where he assumed command of the Luftbeobachter-Erprobungstaffel, on 4 October 1943. He returned to 10./NJG 1 on 2 December. In spring 1944, Greiner flew day missions intercepting 8th USAAF four-engine bombers. He claimed victories over four-engine bombers on 30 January and 10 February and two on 6 March. From March 1944, Greiner led 11./NJG 11.  He was awarded the Deutsches Kreuz in Gold on 29 March. Greiner recorded his 20th victory on the night of 22/23 April and claimed two enemy aircraft shot down on the night of 27/28 May (30-31). Oberleutnant Greiner was awarded the Ritterkreuz on 27 July 1944 for 36 victories. On the night of 12/13 September, Greiner and his crewman took off from Dortmund to intercept a force of 387 RAF Lancaster four-engine bombers headed for Frankfurt. A few minutes after take off his Bf 110 was hit by cannon fire from an intruding RAF Mosquito night fighter. Greiner ordered his crewman, Oberfeldwebel Kissing to bale out. However, Kissing had been wounded in the attack and could not obey the order. Greiner decided to attempt a landing back at his base in Dortmund despite having one engine on fire. He successfully crash-landed the aircraft but Kissing had already died from his wounds. On 1 November 1944, Hauptmann Greiner was appointed Gruppenkommandeur of IV./NJG 1, replacing Hauptmann Heinz-Wolfgang Schnaufer (121 victories, RK-Br) who had been promoted to Kommodore of NJG 4. 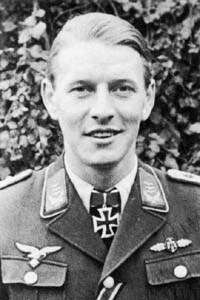 On the night of 5/6 January 1945, Greiner claimed four British bombers shot down in ten minutes (43-46) and, on the night of 3/4 March, a further three (49-51) for his final victories. 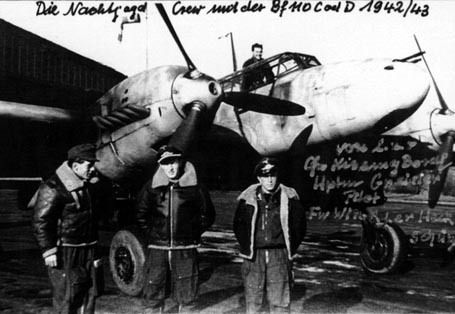 On the night of 7/8 March 1945, Greiner took-off in Bf 110 G-4 (W.Nr. 160 127) to intercept RAF bombers raiding Dessau. Having made no contact with the bombers and beginning to run short of fuel, his aircraft suffered radio failure. Unable to home in on an airfield he ordered his crew to bale out. However, Greiner had difficulty exiting the aircraft and hit the rudder badly injuring his left knee and entangling his parachute in the trailing aerial of the aircraft. He finally managed to free himself and landed near a village in the Eifel region. The injuries he sustained in the incident were sufficient for him to see out the remainder of the war in hospital. He was awarded the Eichenlaub (No 840) on 17 April 1945. Following a period of imprisonment by the Allies at a camp in Schleswig-Holstein, Greiner was discharged and returned to his mother’s home near Stuttgart. Greiner wished to continue in a career involving flying. He and Heinz-Wolfgang Schnaufer decided to try and earn a living flying in South America and, on 23 September 1946, set out for Switzerland to contact the relevant consulates to arrange this. However, they crossed the border illegally and were arrested by border guards and interned. Six months late Greiner and Schnaufer were released. Greiner then moved to Bonn where he studied law. He married in 1949 and became a sales representative for a textile factory. In August 1957, he joined the Bundesluftwaffe with the rank of Hauptmann. He served 17 years rising to the rank of Oberstleutnant. He retired in 1972. He has lived in Wangen since 1980. Georg-Hermann Greiner flew a total of 204 missions and shot down 51 enemy aircraft, of which 47 were at night. He shot down four four-engine bombers during the day.